It can be difficult for the average mother to feel like they can relate to a celebrity. Even though the average woman might not have the extra money for a nanny or the opportunity to travel the world with their kids, they do share one experience with celebrity moms: giving birth. 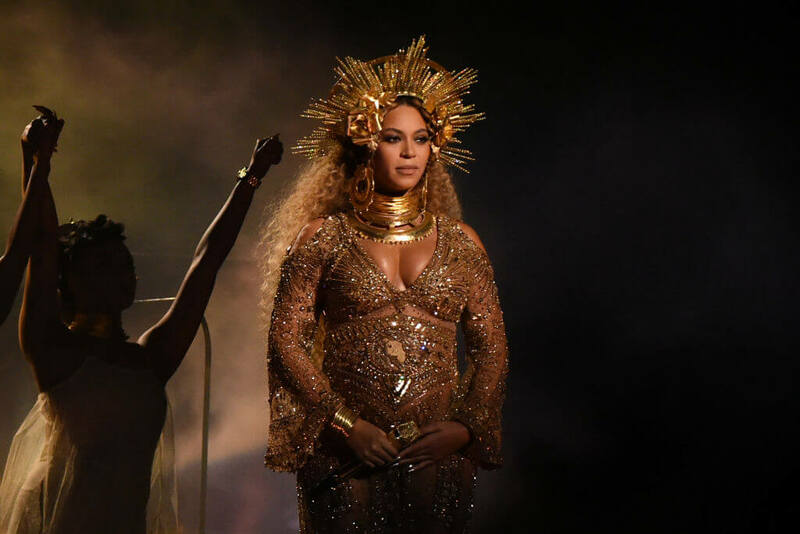 Beyoncé, Blake, Mariah, and women all around the world have all gone through the same physical and emotional labor of bringing a new life into the world. Most of us may not have Goldie Hawn show up to help us meditate, but having friends and family around is what matters. Check out these wild celebrity birth stories that remind us all how strong the women of the world are. Carey gave birth to twins Monroe and Moroccan in 2011 to a very unique soundtrack. Her then-husband Nick Cannon told Gayle King that when Carey was in labor, she had a 1995 live version of her song “Fantasy” playing in the room. Apparently, Carey wanted their children to enter the world right when the applause began at the end of the track. Cannon admitted that “it was definitely over the top” and that he was holding the camera, acting as DJ, and making sure the lighting was perfect. Let’s be honest. 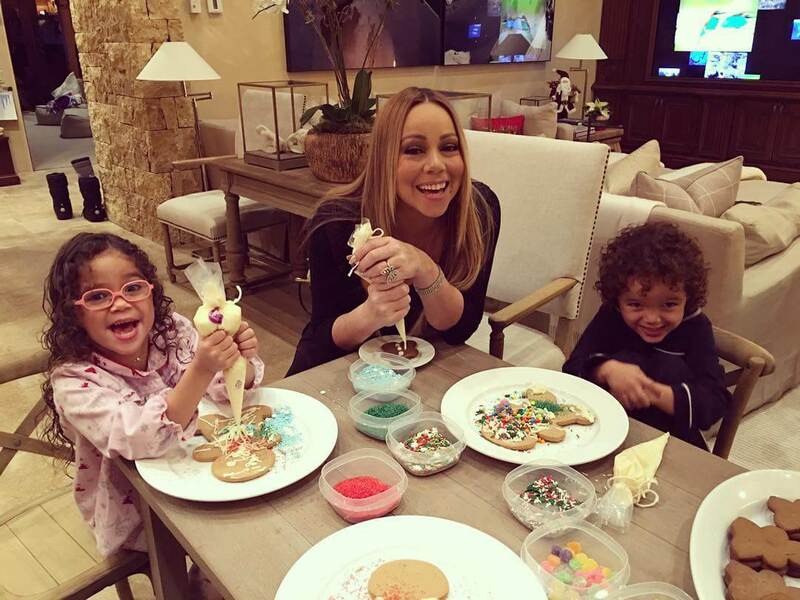 Did we expect anything less from Mariah? The last thing you want when you’re pregnant is for your OB-GYN to abandon you the day before they’re due, but that’s precisely what happened to actress Amy Poehler. In her book, she explained the day before her due date, she was rehearsing for SNL and took a break to confirm her appointment with her OB-GYN. She wrote: “I hung up the phone and told Jon [Hamm] and the hair and makeup people that my doctor had just DIED. And I was DUE TOMORROW.” Luckily, another trustworthy doctor stepped in to perform her C-section, and Poehler delivered a healthy baby boy. 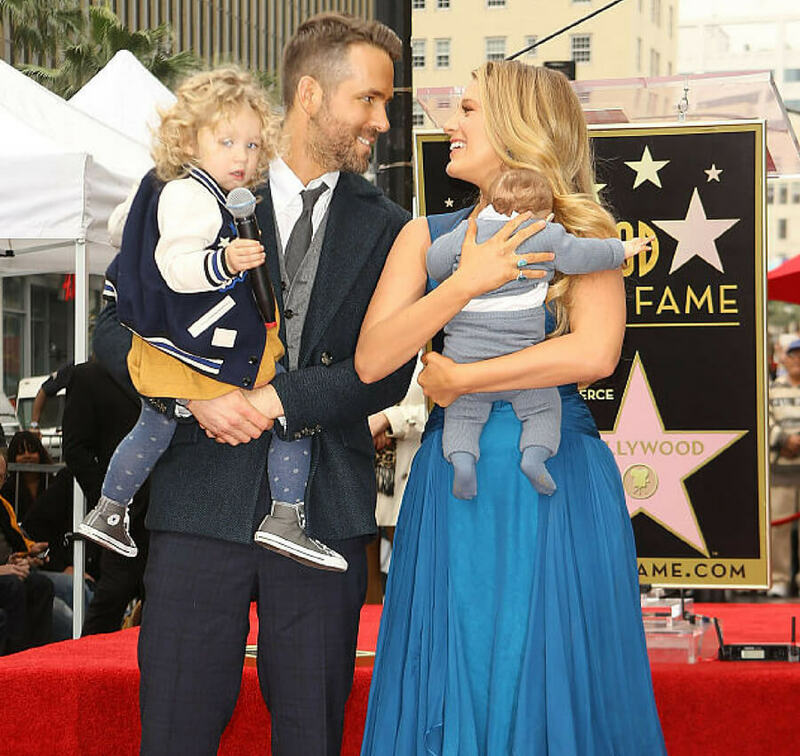 In one of Blake Lively and Ryan Reynolds’ many epic Twitter conversations, Ryan mentioned that Blake had to drive him to the hospital when she was giving birth. And that’s it! We got no further explanation, and neither of them has commented further. My money is on the fact that when Blake went into labor, Ryan started to panic while she went into mom-mode and did what needed to be done. Any mom around the world can relate. 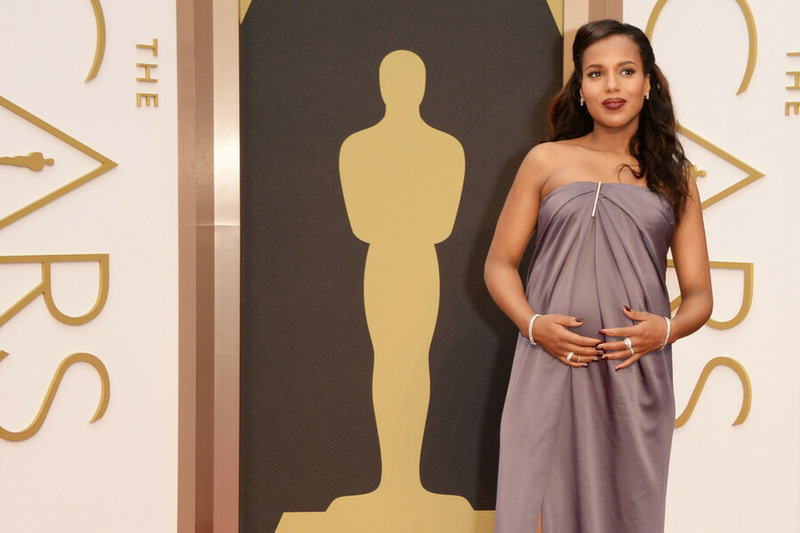 Keep reading to see what star got some unconventional advice when she was giving birth. Thanks to Kim’s candid lifestyle and reality TV show, we all got to experience the blessings and struggles of her first pregnancy. 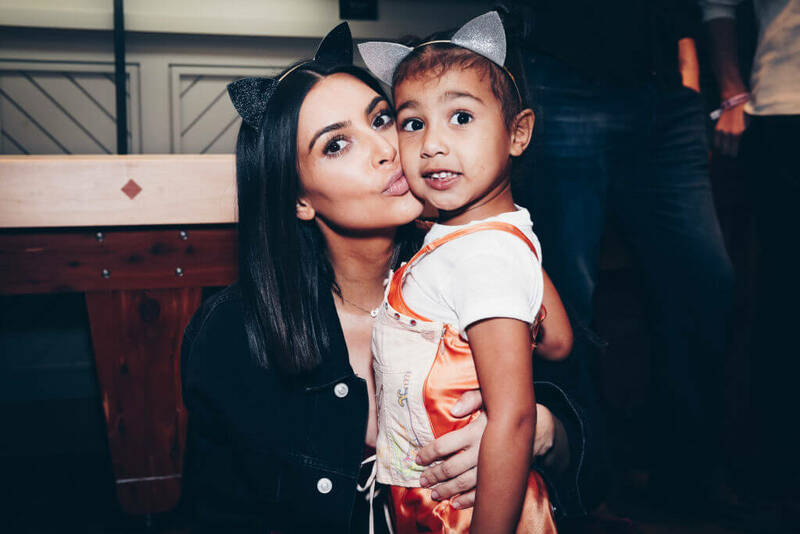 While pregnant with daughter North, Kim had a rare condition called placenta accreta that forced her to deliver her daughter six weeks early. She later wrote on her website all about the experience. Due to her condition, the placenta didn’t detach, and her “doctor had to stick his entire arm in me and detach the placenta with his hand, scraping it away from my uterus with his fingernails.” Even though it was a painful experience, Kim said she wouldn’t change it for the world. 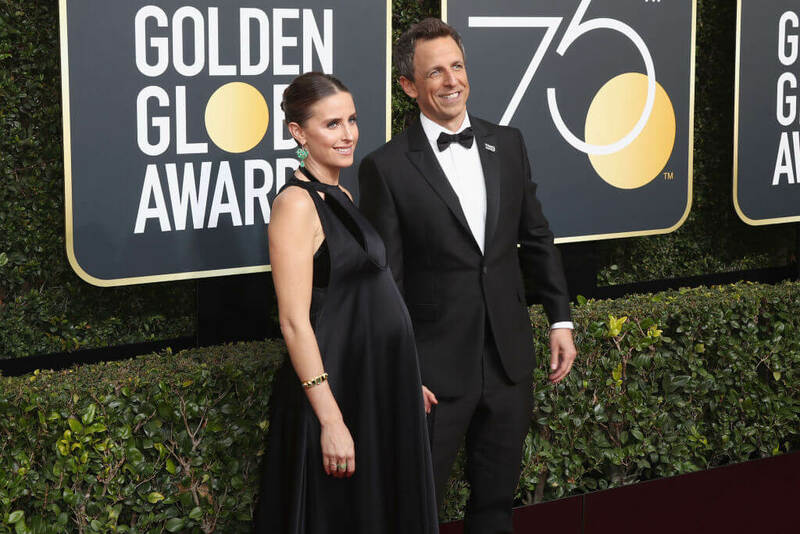 Shortly after his wife Alexi Ashe gave birth to their second child, Seth Meyers took to his late night TV show to share the story of how his wife had to give birth in a hotel lobby. She went into labor unexpectedly, so they rushed out of their hotel room to catch a cab to the hospital. As they were riding the elevator down, Alexi realized she wouldn’t make it to the hospital. She then had to decide if she wanted to give birth in the elevator, or the hotel lobby. She chose the hotel lobby and delivered a baby boy while Seth was busy calling 911. When Hudson gave birth to her first child, she had to spend 18 hours in labor. Her mom, actress Goldie Hawn, rushed to the hospital to be by her side, but she also came with some strange coping mechanisms. Hudson shared that Hawn “put on these reading glasses that have headlights on them” pulled out a magnolia flower, and started chanting and doing visualizations. 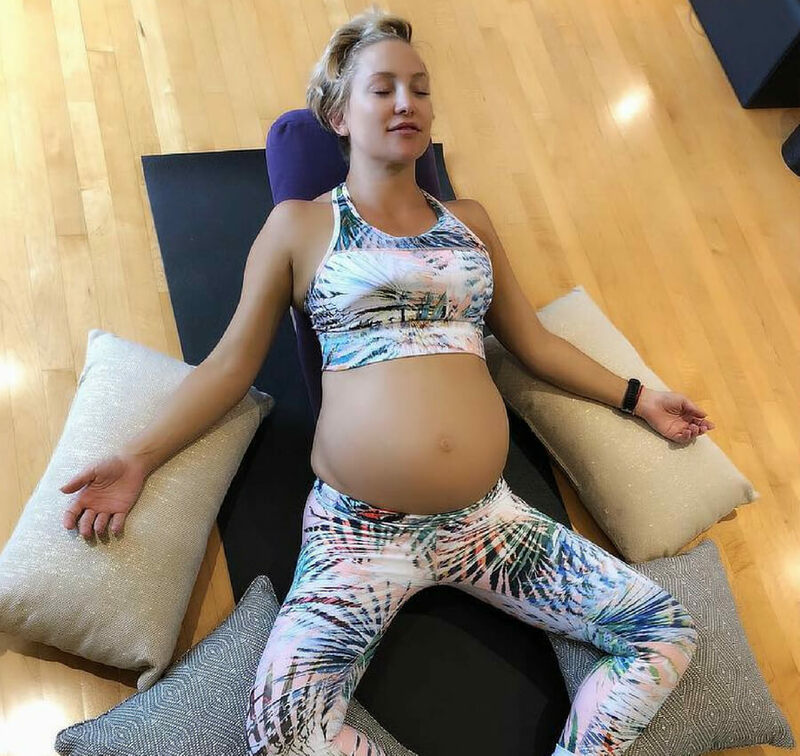 Hawn told her daughter to “Imagine your va-jay-jay as a large magnolia flower blossoming.” The next celebrity mom also had a very spiritual experience while giving birth. After suffering two miscarriages, Beyoncé finally became pregnant with her first child, Blue Ivey, in 2011. The pregnancy was a very emotional and maternal experience for her, so much so that she felt a spiritual connection with Blue while giving birth. Comedian Maya Rudolph wasn’t planning on having an at-home birth, but her labor was so quick that she had no choice but to deliver her daughter at home. Rudolph said the actual delivery was pretty easy and that her daughter “just kind of glided” into her father’s arms. We just have one question, Matthew. Who was dancing to it? Because I’m sure Camila was busy doing more important things, and an infant isn’t ready to dance yet. I can’t decide who is more extra: Matthew McConaughey or Mariah Carey. Continue on to read two very different sides of one celebrity’s birthing experience. Bell was loving life after giving birth to her first child thanks to the pregnancy drugs. After the epidural started to wear off, she said she began “scratching her face like a meth addict.” To help, a nurse gave her some Benadryl, but the combination of the two must have resulted in a strange reaction because things got weird. Bell said she started to feel high and began buying everything from handbags to throw pillows and rugs online. Even though Bell said it was all relatively easy, her hubby Dax Shepherd had something very different to say. 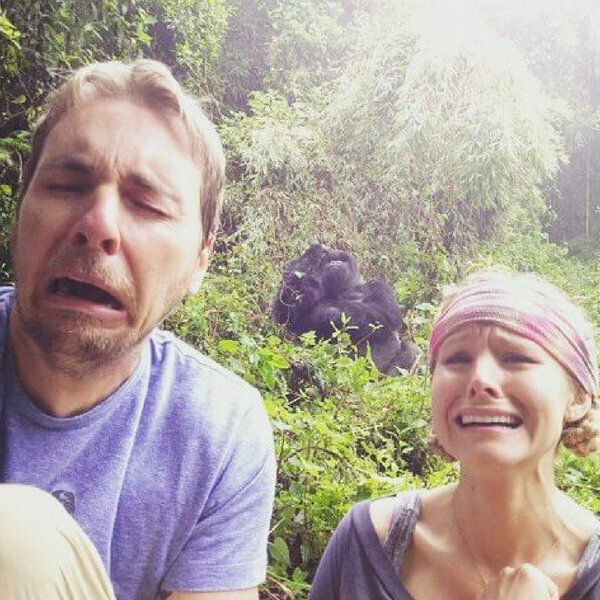 While Kristen was off in la-la-land, Dax was becoming scarred for life. Kristen had a C-section, and Dax told Ellen Degeneres that he totally regrets pulling back the sheet and sneaking a peek. Dax had the joy of watching his baby girl be lifted out and delivered, but that also meant he saw everything inside of her. In his words, Dax thought: “It’s a girl! Your liver’s out, I think. And then those are definitely your intestines… Oh my god, put her back together correctly!” The women do all the hard work, and it’s still their husbands who get queasy at the sight of a liver. 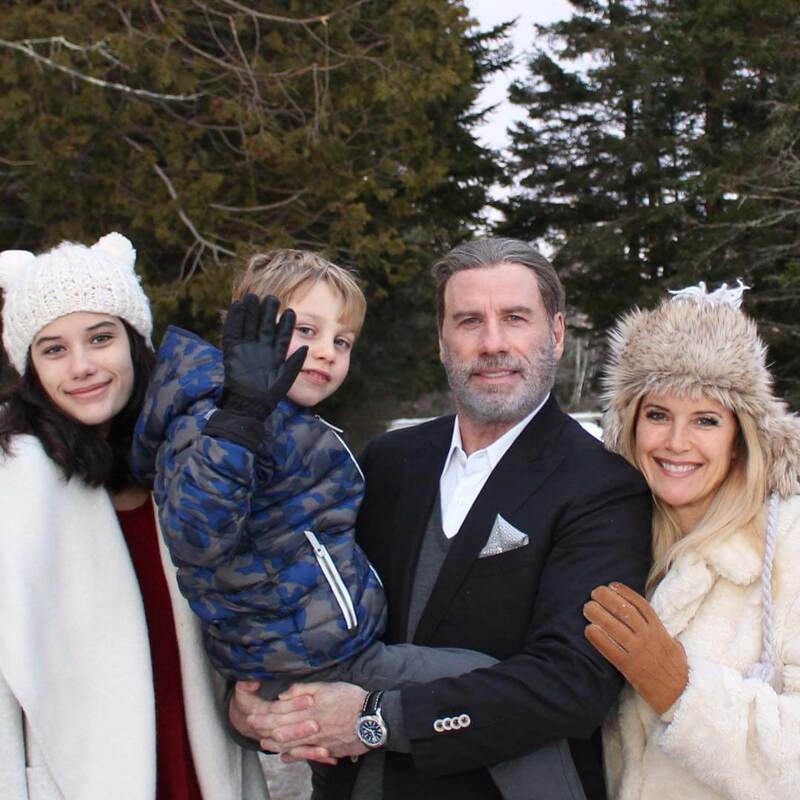 Actress Kelly Preston shocked the hosts of the Today Show when she revealed that she stayed completely silent during the birth of her son Benjamin in 2010. Preston studies Scientology along with her husband John Travolta, and one common practice is to bring a life into the world as peacefully as possible. Preston understands that yelling or moaning is normal for most women, but that her silent birth is the reason why her kids are “very calm, very peaceful, happy.” Coming up, find out which Shondaland star live-tweeted while she was in labor. Kourtney was the first of the Kardashian sisters to have kids, and the cameras were rolling for two of her births. If you kept up with the Kardashians back in 2010, you might remember when Kourtney shocked us all by reaching down and pulling out her son Mason. She did the same thing again in 2012 when she gave birth to daughter Penelope. Looking back, Kourtney said that she had no intention to do it. It was in the moment that she decided she needed to be with her child right away. So with both Mason and Penelope, she reached down and brought them right up to lay on her chest. Actress Hilarie Burton didn’t self-deliver her baby like Kourtney, so she had her husband do it instead. 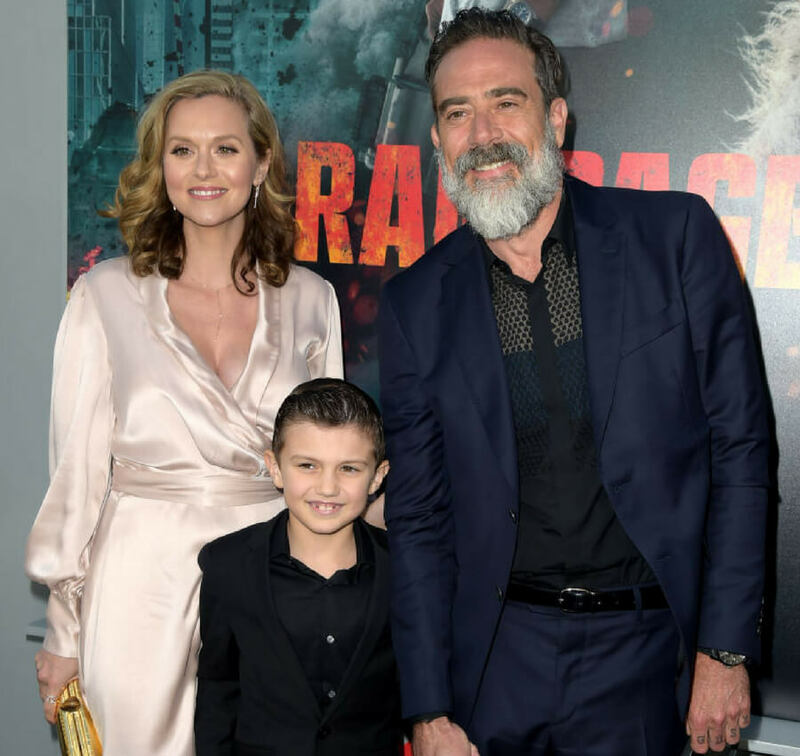 The Walking Dead star Jeffrey Dean Morgan accidentally delivered both his son Augustus and daughter George. Morgan thought he was there just to “led support and hold a leg,” but when the baby started crowning, the doctors pushed him to center stage. Most women can barely think during labor, but Washington was busy live-tweeting an episode of Scandal. Washington and the rest of the cast would always tweet during the show on Thursday nights, and she knew if she didn’t tweet her fans would suspect something was wrong. For the three weeks leading up to her daughter’s due date, Washington would load up pre-tweets based on the episode and send them out. Even though they were pre-set, she was still tweeting up a storm in the early stages of her labor. Keep reading to see which celebrity mom’s unique birth left her doctor in shock and awe. Applegate’s delivery of her daughter was a marathon, not a sprint. She spent 18 hours in labor, so when she finally gave birth it was such an overwhelming experience that Applegate did something she never expected to do: she dropped her gown. Most women love to hold their baby on their chest after delivering, but Applegate refers to her chest as a “part of my body very private to me” every since her double mastectomy in 2008. But her past turmoils didn’t matter during birth. Applegate shared that moment in a room full of people. The only thing that mattered was holding her newborn daughter close to her heart. If Christina Applegate thought taking off her gown in front of others was a lack of privacy, try having your 2-year-old watch while you give birth. 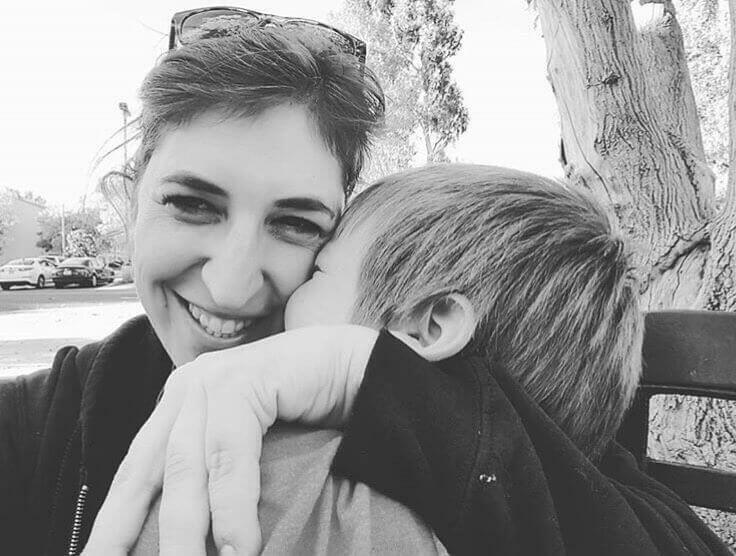 Big Bang Theory star Mayim Bialik had an at-home birth for her second child in 2008. Her older son was two at the time and was home and present to watch the show. Bialik shared with People that her older son watched “from his high chair while eating granola.” She also said it was lucky that the birth was relatively quick because her son probably would have gotten bored! 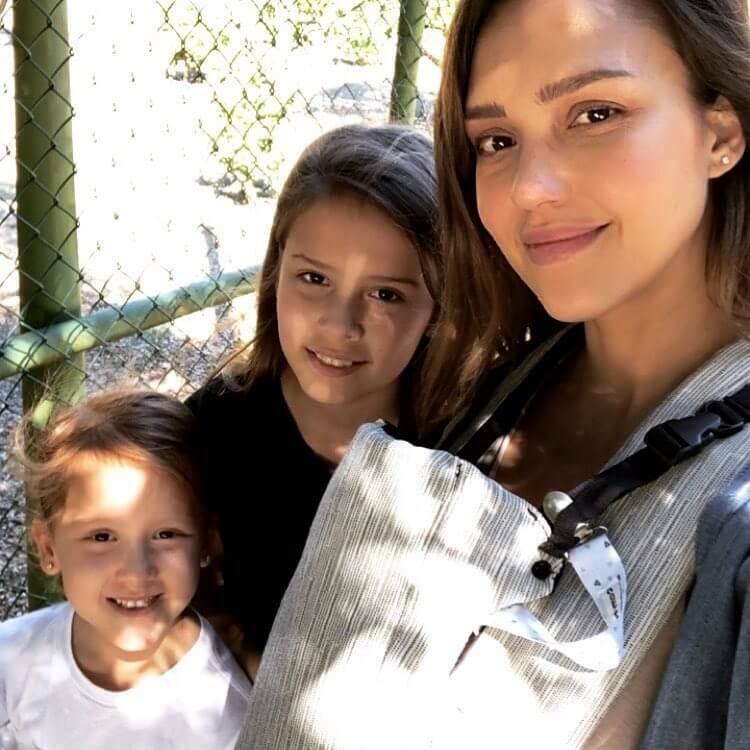 Jessica Alba’s second daughter was miraculously born while still inside of the amniotic sac. The phenomenon is so rare and happens only about 1 in 80,000 times. Her doctor must have been in shock too because he stopped the birthing process so everyone in the room could share the experience. Alba’s doctor signaled for her to stop pushing, then he even called the nurse and said, “Look at this!” The unique birth ended up inspiring her daughter’s name. After Alba’s husband Cash held their child, he said being born in the amniotic sac was God bringing her into the world in a “safe haven” so they named their daughter Haven. Like many women in recent years, Megan Fox wanted to have a natural birth. She was determined not to get an epidural, and believed the nurses would think “she’s a warrior princess!” Well, all of that changed after her first contraction. Fox said that almost immediately after going into labor, she had changed her mind and was begging for the epidural. Fox shared that “As soon as I got out of the car I was already crying for an epidural. I was asking the security guard for an epidural.” Her change of plans isn’t uncommon. Many women debate going natural or using an epidural. Whichever one they choose, they’re all warrior princesses. Jolie has six children in total: three adopted and three born from her and ex-husband Brad Pitt. The first child she gave birth to was Shiloh back in 2006. In the most Angelina Jolie way possible, she gave birth in a small cottage-like hospital in Namibia. Jolie told Vanity Fair that it was just her, Pitt, and the doctor in the tiny, local hospital. She also championed her choice to have a C-Section and said that she didn’t believe that not having a natural birth was a sacrifice or made her a lesser mother.